Christmas is the perfect time to try to be a bit kinder to the planet and to people who live in parts of the world where life is a constant battle. Here are some ideas for a greener and kinder Christmas. 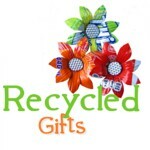 Reuse and recycle: Look at things creatively many items can be used for other purposes or reused. 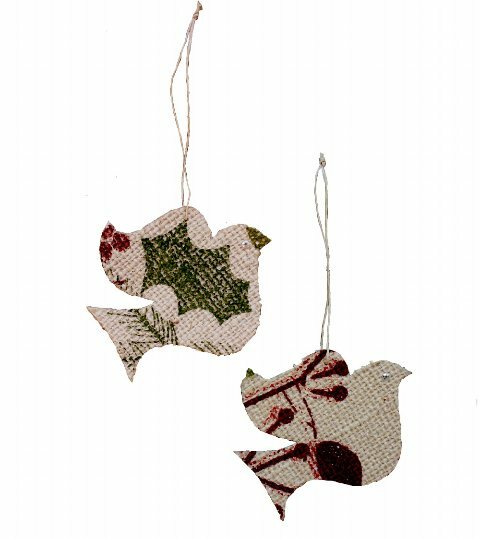 Cut up last year’s Christmas cards to make gift tags After Christmas, many stores have cards recycling stations, keep an eye out for them. Instead of sending Christmas cards, send e-cards, save on paper and the money saved can be donated to a charity. Avoid commercially produced gift wrapping paper So much paper, and therefore trees and energy, is wasted every year just to end up thrown in the bin. 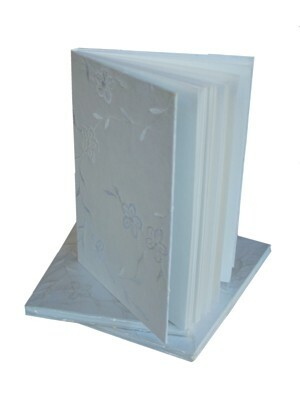 Use ecofriendly recycled paper and decorate it. Get the kids to help it is great for an afternoons fun. Plan Christmas. That way you will void impulse buying those last minute gifts which are often discarded after a few days. 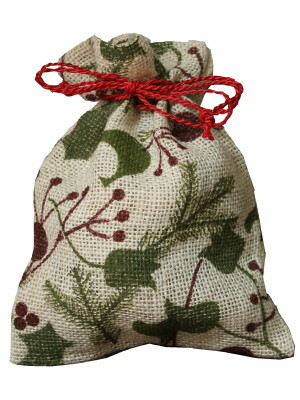 Cook In Advance Christmas puddings, jams and sauces all make lovely gifts. The internet has a great selection of recipe ideas. Avoid buying commercially produced food if you have the time you can make a great deal of the food yourself.You will not only have some very tasty gifts for friends and family you will save money, save on the fuel it would normally take to transport the produce to the supermarket and have healthier chemical free Christmas treats. Christmas time is just around the corner so now is a great time to get your list together and carefully choose this year's Christmas gifts. By choosing of one of these delightful ecofriendly gifts you give a chance at a better life to those less fortunate than yourself. Yes! People often laugh when they first encounter the idea but everything from notebooks to cards is printed on the paper. 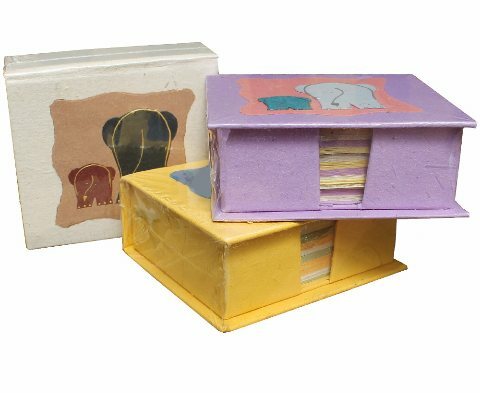 The original motivation behind making elephant dung paper was because in Sri Lanka elephants are a problem particularly to the farmers, damaging farmers crops and fences. Creating a market for their excrement has made them valuable to the local people and this now offers some protection to the animals. Because elephants are vegetarian animals, their dung is pretty much just dried-out plants that are partially digested. 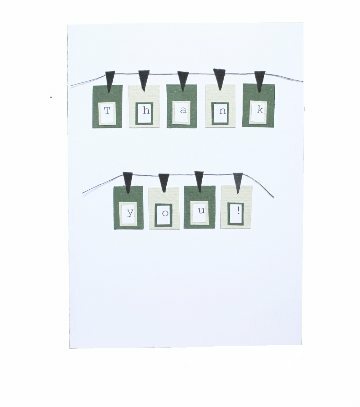 Just love the Eco Craft-a-Card (pictured above), a lovely green gift for children. 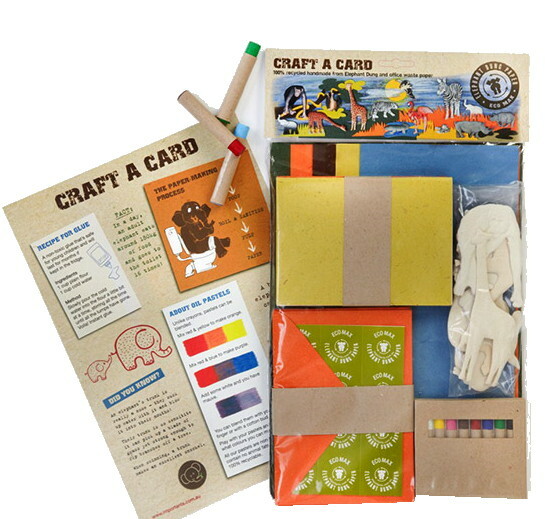 A card making kit made from elephant dung paper. 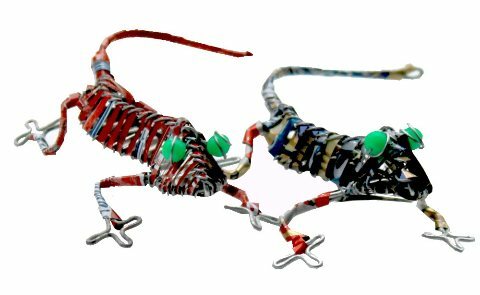 These fabulous creatures are made in the slums and townships of South Africa. 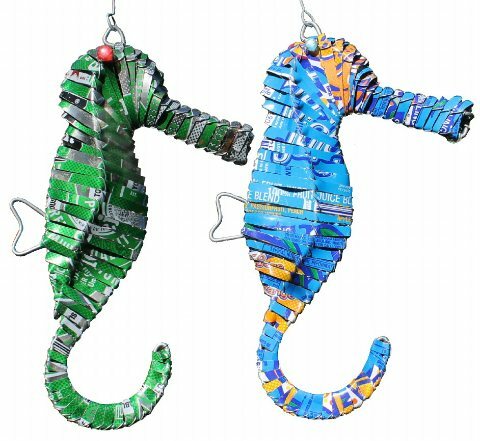 They are some of the many amazing and creative recycled items being made by artisans when the only materials available to them is discarded trash. Why we choose to buy one product over another is a very personal thing but even if environmentally friendly products or social justice issues aren't high on your list of importance the fabulous gifts that are available that are also green gifts are very appealing even without taking into account their impact on the planet or others. 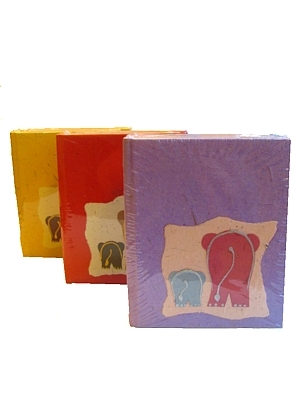 such as books,cards and journals are now available made from cotton paper, jute paper recycled paper even paper made from elephant dung The quality of these hand crafted recycled papers is now what makes them the first choice when looking for something special their eco friendly nature is a bonus but not the main reason people are choosing to buy them. 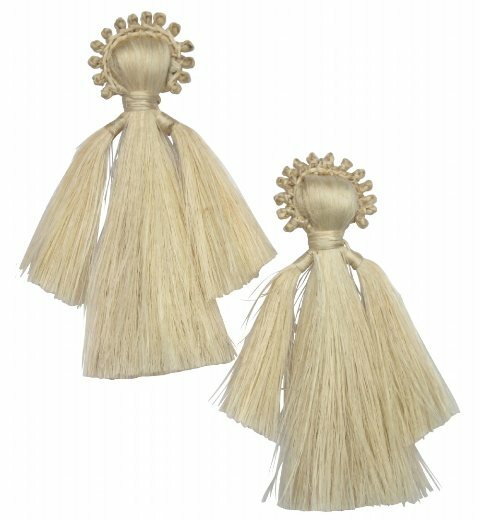 Next time you are looking to buy a green gift consider environmentally friendly and fairtrade products as they are so often unique, handmade and of exceptionally high quality. 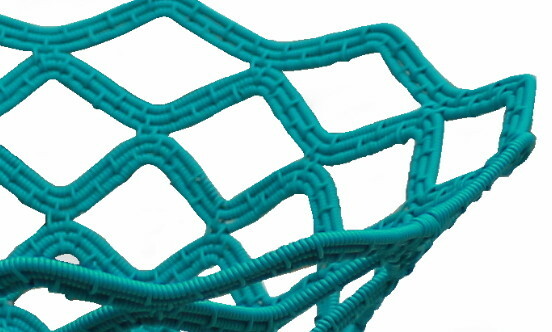 These superb hand crafted Zulu baskets are woven from copper telephone wire .They are a contemporary art form involving incredible levels of skill and colour. 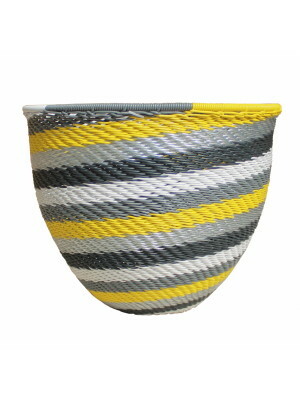 The telephone wire basket is a relatively recent craft development.The origins of telephone wire weaving have been traced to Zulu night watchmen in urban areas of South Africa who would find discarded pieces of the wire and to banish boredom on night shifts took to weaving coloured wire around their traditional sticks. This skill was soon extended to include the making of the baskets. 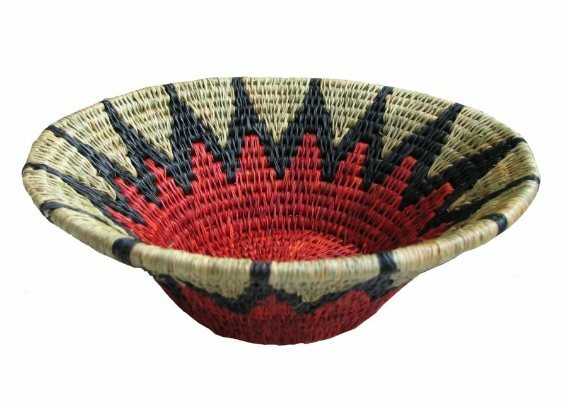 These brilliant Zulu woven baskets now are exported worldwide and provide a sustainable and dignified income for the weavers . Environmentally friendly and fair-trade products have less negative impact on the environment and a positive impact on people's lives and are well worth considering when you are looking to buy gifts. Consider the planet and others who we share it with when you shop as your choices can make a real difference Green gifts are an easy decision, the choices available now suit most budgets and taste and the variety is enormous. 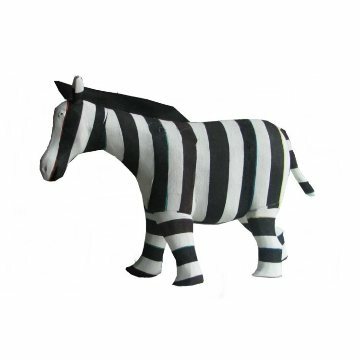 There are also really beautifully made crocheted and wooden hand made toys from little boats to hand knitted zebras and puppets which would bring joy to any child. 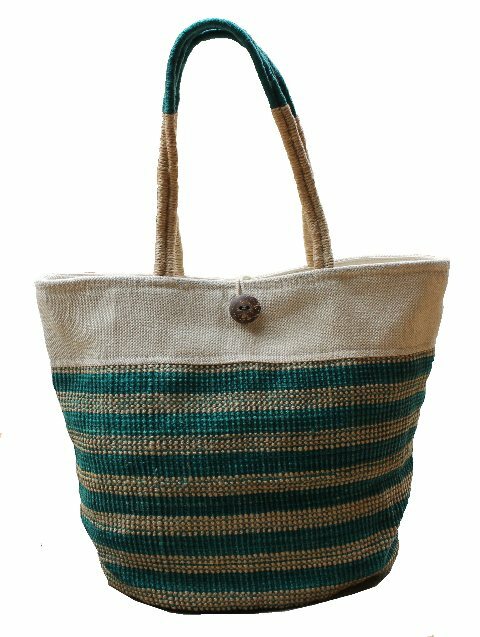 Artisans in some of the poorest countries have developed a wonderful range of products from the limited materials available to them. These crafts, many which originate from Africa are inspirational both in their creativity and the resourcefulness shown by the crafts people. The range of every day functional items, ormanments, bags and jewellery being made is impressive . 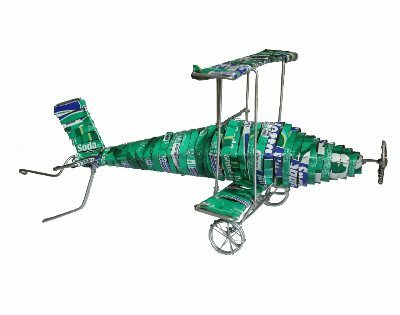 In many countries in Africa, resourceful people have long excelled at fashioning toys from whatever materials are available - tin cans, wire and plastic that is discarded as trash. The motivation behind the recycling is not environmental concerns but because poverty has limited their choices in life and people have found what value they can in the materials available to them. 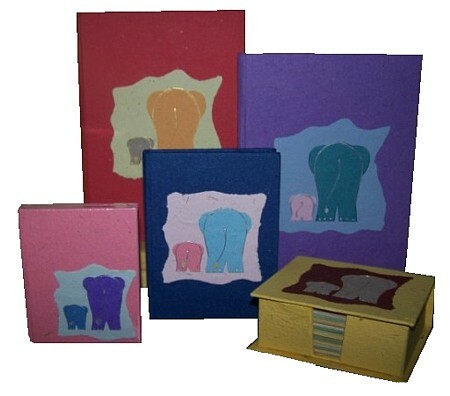 The skill and creativity applied to make these recycled products is impressive, there is in each and every product ingenuity and humour that makes these simple objects immensely appealing. 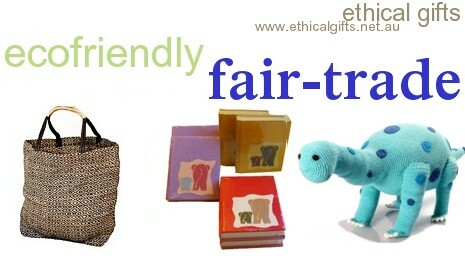 • Fairtrade is an ethical certification system and movement with a people first approach to trade. Fairtrade offers farmers and workers in developing countries a better deal– the opportunity to improve their lives and plan for their future. 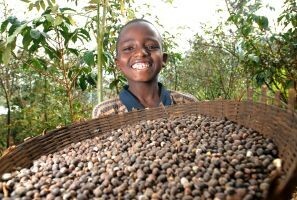 Fairtrade offers consumers a powerful way to reduce poverty and instigate change through their everyday shopping. • Poverty remains widespread amongst tea, coffee, cocoa, cotton sports ball producers around the world, who face an uncertain future due to range of factors including volatile world prices which have left many struggling to support themselves and their families. • Today more than six million people – farmers, producers, workers and their families – across 58 developing countries in Africa, Asia, Oceania, Latin America and the Caribbean benefit from the Fairtrade system. fluctuations in world market prices. _ The Fairtrade Premium - an additional sum of money for investment in social, economic and environmental development - helping them grow their businesses and invest in their communities by building roads, schools and hospitals. _ Requiring environmentally sustainability farming and production practices. 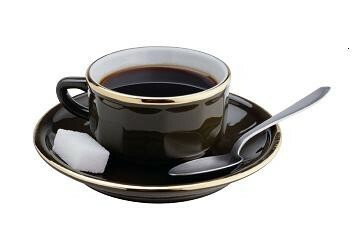 _ Providing democracy within decision making processes including Fairtrade Premium use. way for consumers to recognise and choose products that have met internationally agreed Fairtrade Standards. against the Fairtrade standards has taken place at each step of the commercial supply chain: FLO-CERT certifies all Fairtrade producer organisations and is the only ISO 65 accredited certification body for an ethical label. • In Australia, common Fairtrade Certified & Labelled products include coffee, tea, cocoa, chocolate,hot chocolate, cotton and sports balls. Fairtrade Certified & Labelled rice, sugar and quinoa are also available. A variety of these products can be found in major supermarkets, independent retailers, organic and health food stores; through office supply companies; as well as hundreds of cafes across the country. A number of major coffee chains now have their own Fairtrade blends and several Australian airlines serve Fairtrade tea, coffee and chocolate on their flights. 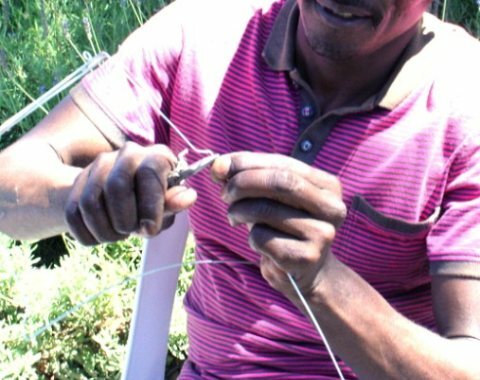 Wire weaving began with the night watchmen in the mines of South Africa weaving as a creative way of dealing with the boredom . 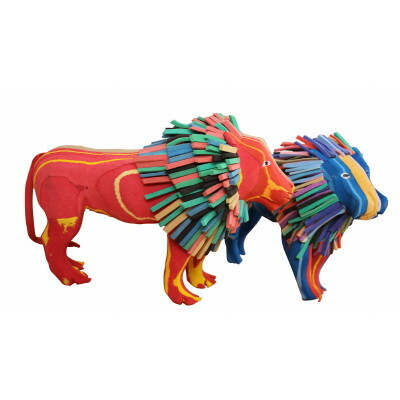 With limited resources at hand the Zulu men finding discarded brightly coloured wire utilized it to decorate objects. Today this craft has developed hugely and a worldwide market now exists for a diverse range of products and designs that are not only commercially desirable, but that are also supplying dignified and fairly paid work for hundreds of weavers throughout South Africa. 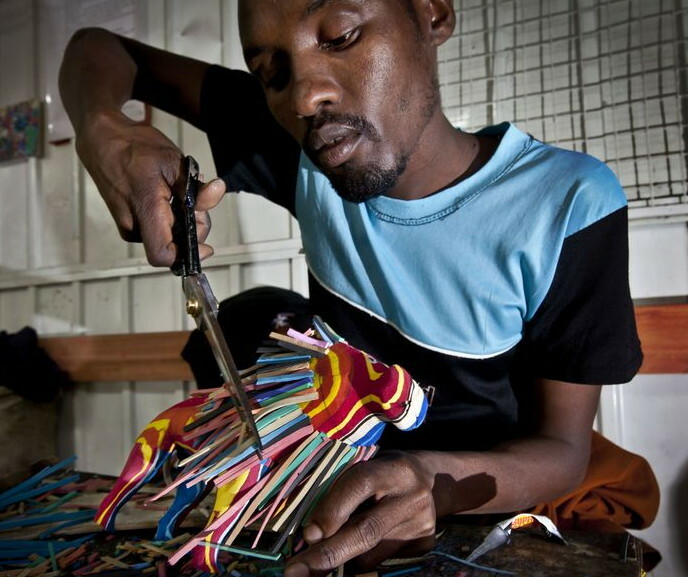 Workers in Nairobi make variety of amazing products from the discarded flip-flops. In 2008, the company shipped an 18-foot giraffe to Rome for display during a fashion week. Company founder Julie Church says the goal of her company is to create products that people want to buy, then make them interested in the story behind the products. Workers wash the flip-flops, then glue together the various colours, they carve the products, sand and rewash them. Julie Church first noticed Kenyan children turning the rubber flip-flops into toys when she worked as a marine scientist on Kenya's coast. Turtles hatching on the beach were struggling through the piles of debris on beaches to get to the ocean. 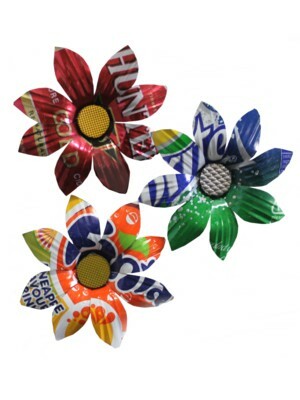 A the plan to clean up the debris and create artistic and useful items was developed and flip-flop recycling was born. Each unique paper bead is made from a long narrow triangle of paper cut from recycled magazines. 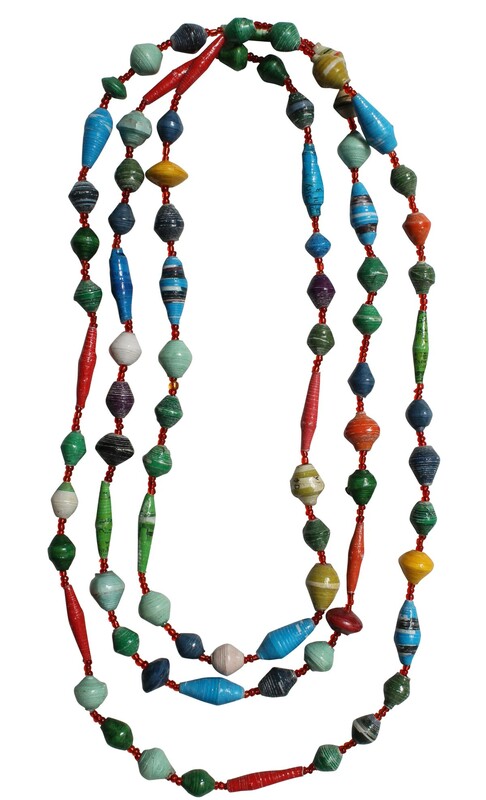 The beads are then rolled and glued, coated and strung to make these beautiful necklaces and bracelets . 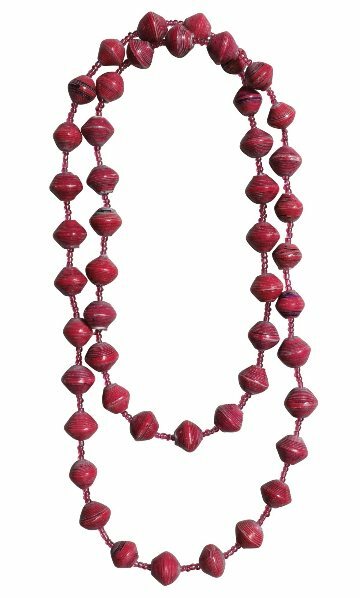 The income from this jewellery gives the Ugandan artisans the income to care for their families and to lift themselves out of poverty. 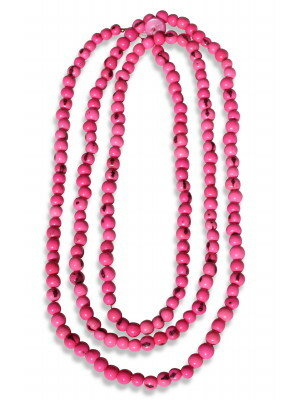 This necklace can be worn double strand or single strand, it looks great either way. 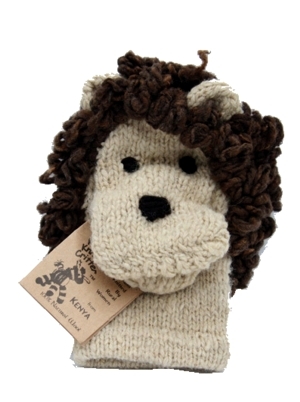 There is an enormous range to chose from when it comes to finding a toy to buy for a child but when it comes to choosing good quality, safe and ethical toys for your children handmade toys are definitely the best. 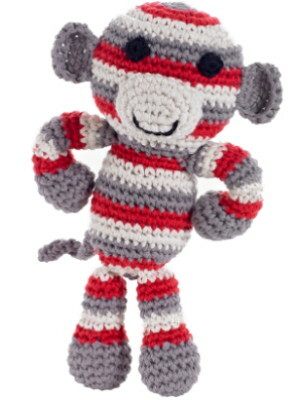 Handmade toys are not only cleaner and safer for children but are usually more environmentally friendly because they are not produced in energy guzzling factories The sale of handmade and fair-trade toys also often helps to support women and their children in less developed countries. Everybody wins!- children, the environment and the artisans who make the toys. Handmade toys may be a little dearer than mass-produced toys from China but they will last longer, will do no harm to children or the environment and can be passed on for generations. 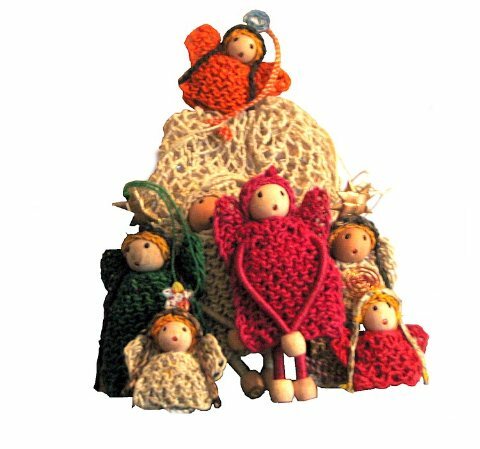 The handmade and fair-trade toys that are now available are also some of the highest quality, the most beautiful and loveable of toys . They are made superbly and filled with their own individual charm which only comes when each item is made with care, by hand and not mass-produced from toxic chemicals by exploited workers in a factory. Zulu people are well known for their creativity and weaving skills and have for centuries been using natural materials to make baskets. They have now taken this craftsmanship and applied it to a new material, brightly coloured copper wire. 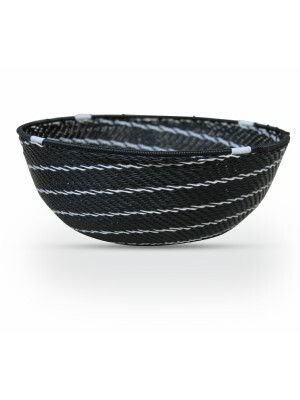 Tightly woven with meticulous detail, Zulu Wire Bowls are a contemporary expression of the Zulu art of basket-weaving that has been passed down for generations. 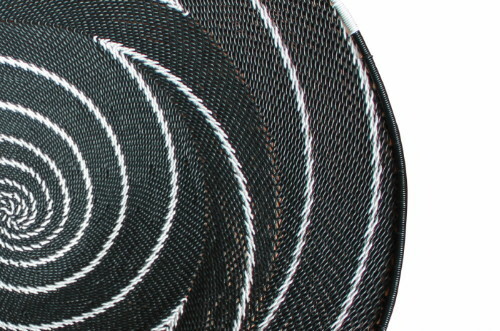 These vibrant Zulu wire baskets come in myriad of colours and are made with intricate, mesmerizing designs Some weavers use the designs frequently found in natural fibre baskets, while others create their own bold, new designs: swirling patterns in black-and-white, natural earthy browns or bright rich colours. 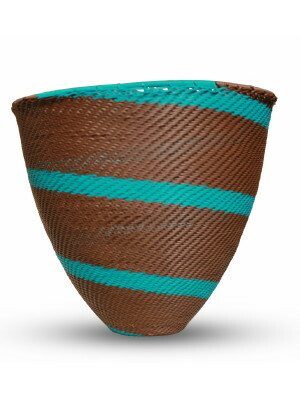 Handmade under Fair Trade guidelines, these beautiful and dramatic Zulu bowls and baskets help African artisans to provide for themselves and their families and to build a better future. 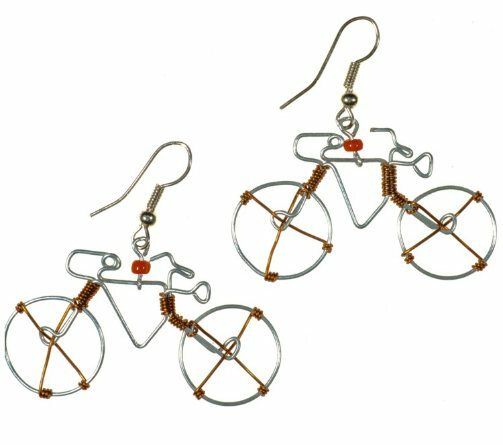 Wonderful eco-friendly jewellery made from an amazing assortment of recycled items is being made by crafts people all over the world. Unlike mass produced products each piece of recycled jewellery that is being sold is unique and the purchase of recycled and fair-trade jewellery not only is good for the planet but the jewellery is made by crafts people in developing countries who make the jewellery in the hope of securing for themselves and their children a dignified and liveable income and a better future. We all want do the right thing by others and supporting Fair-trade is probably something you have thought about but sometimes breaking habits and making changes is difficult Here are somereally easy ways to make small changes that make a big difference. 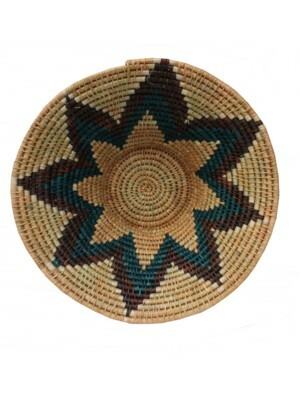 This gorgeous woven African basket is made from sisal fibres The sisal plant is used because of its strength. The fibre is harvested, dried, hand dyed and then made into a thin coil by being rolled against the weaver's leg becaue of this long process these are one of the most labour intensive of all African baskets for their size.